A lot of people are bemused by the idea of a vegan BBQ, after all if you’re not charring flesh then what would you eat? The answer – loads! It was just the two of us on Xmas day, and we decided to fire up the BBQ. The problem for us is not finding stuff to cook, but limiting ourselves, there are just so many options! 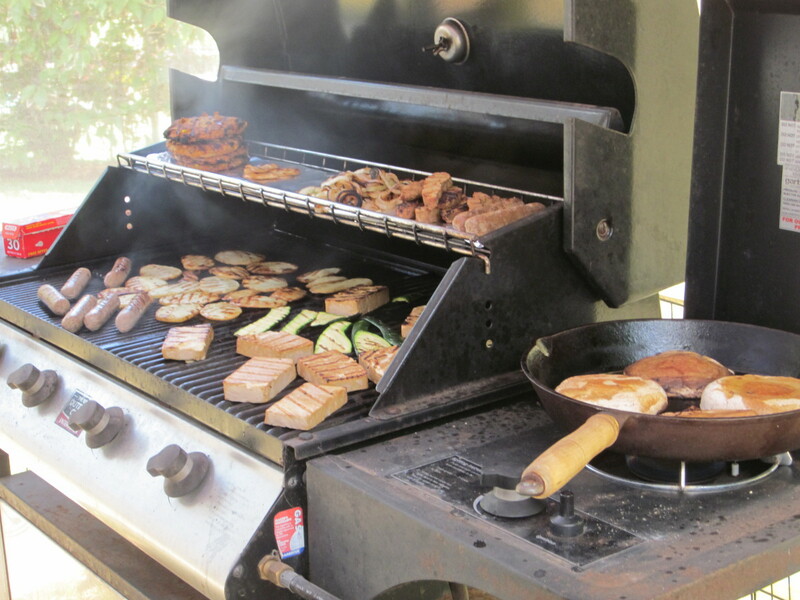 Whenever we BBQ we usually have enough leftovers to last us a week – which isn’t a bad thing. So what do we throw on the BBQ? Well besides things like veggie patties & sausages, seitan and marinated tofu, there’s a large array of veggies. 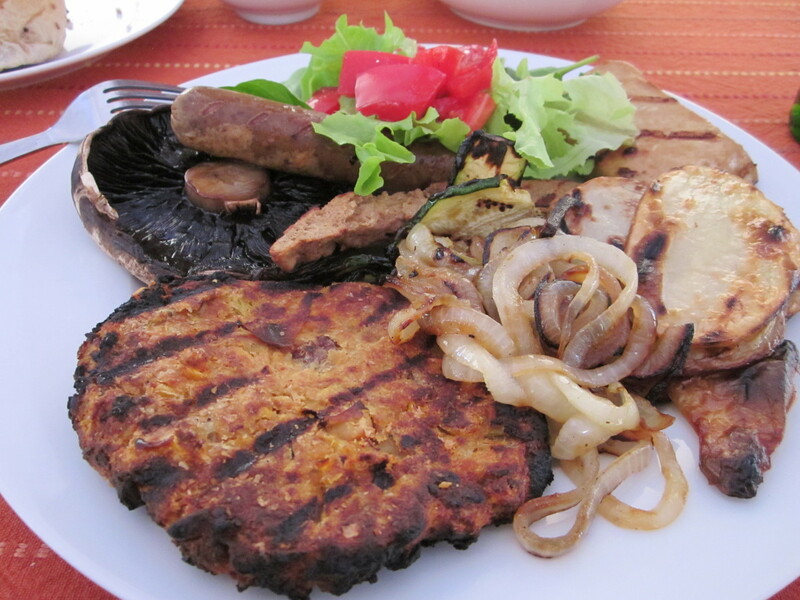 Big flat mushrooms, onion, corn, potato, sweet potato, marinated zucchini & eggplant, capsicum, pumpkin, cauliflower, firm polenta, pineapple rings – really you’re only limited by your imagination, and what you’re willing to try! So what are your favourite vegan foods to BBQ?